On how a photo presented itself to me in San Miguel de Allende, Mexico and reminded me to pay attention. To look up. To look down. To listen and smell and feel the air. 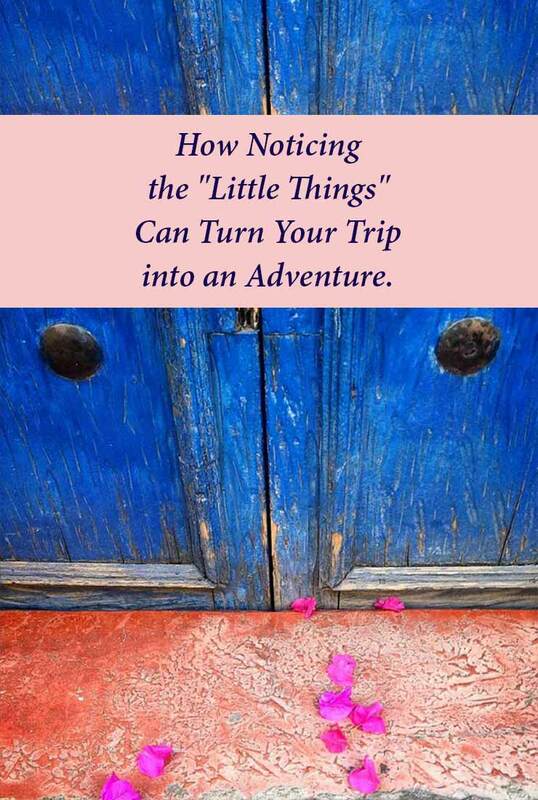 To notice the “little things” that can turn any trip into a rich and fulfilling adventure. Blue doors. A rose-colored step. A sprinkling of fuchsia-colored bougainvillea petals. A perfect still life in San Miguel de Allende, Mexico, one of the “small moments” we must slow down to notice as we travel. This lovey composition was just there, being itself in all its beauty, not waiting for me to come along, not posed for the camera or “set-up” as a perfect shot. I just happened to be walking by. I was on my way home from a meeting, my mind spinning with ideas and “must-dos”—what to fix for dinner, a business call I had to make, a bank balance I had to check. I was half-writing my next blog post in my head while keeping one eye on the ground to avoid tripping over the cobblestones or an all-too-common hole in the sidewalk here in San Miguel de Allende, Mexico. My only real point of focus was getting home. But something made me turn my head to the side. A flash of color. A piece of composition. It barely registered and I kept walking. But then I stopped, turned around, walked back the few steps to look at it again. I realized it was beautiful, a perfect composition of color and form, shape and placement. It was a little piece of Mexican art handed to me on a plate. I whipped my phone out of my pocket and snapped a few photos of it before going back on my busy way. Later that evening, I looked at the photo again, and I liked it. I decided to put it up on my Instagram page. I post quite a few pphotos of my home town of San Miguel de Allende, Mexico there and they usually get a nice response. I also shared that photo on my NomadWomen Facebook page. I didn’t think too much about it for the rest of the evening. But when I looked at my page the next day, I realized that this one photo was getting a much greater response than usual. Something about this pretty color composition had struck a chord. People were liking, it, commenting on it, and sharing it like crazy, this little photo that was basically an afterthought. And that got me thinking. How many of these small moments, these little gifts of noticing, do we let go right past us in our normal lives and even in our travels? If you’d been walking up Calle Hernandez Macias on that sunny afternoon, would you have seen that blue door with its rose-colored step and its sprinkling of fuchsia petals? How many times have I passed something very similar in this town and NOT seen it myself? The moral here, I think, is a simple one. First: Slow down and pay attention. Let your senses run free. Look around you. Smell the wind. Taste the air. Feel the stucco or the water or the wooden door. Ask yourself: What “small things” and precious moments do we miss on our travels as we rush from place to place? When we go from one “must-see” attraction to the next, when we focus our attention on the street ahead and the day ahead instead of being fully present in the moment, what wonders go right past us unseen, unheard, unnoticed and lost forever to our conscious enjoyment of our trip? If I had rushed through the Rijksmusem, seen the paintings I love, and then run off to the next thing on my Amsterdam “must-do” list, I would not have stopped to rest on a chair in the gardens behind the museum. I would not have noticed how the sun shining through the dancing fountain there created a rainbow that gave me great delight as I watched its changing stripes of color weave through the droplets while the fountain danced its rhythms. 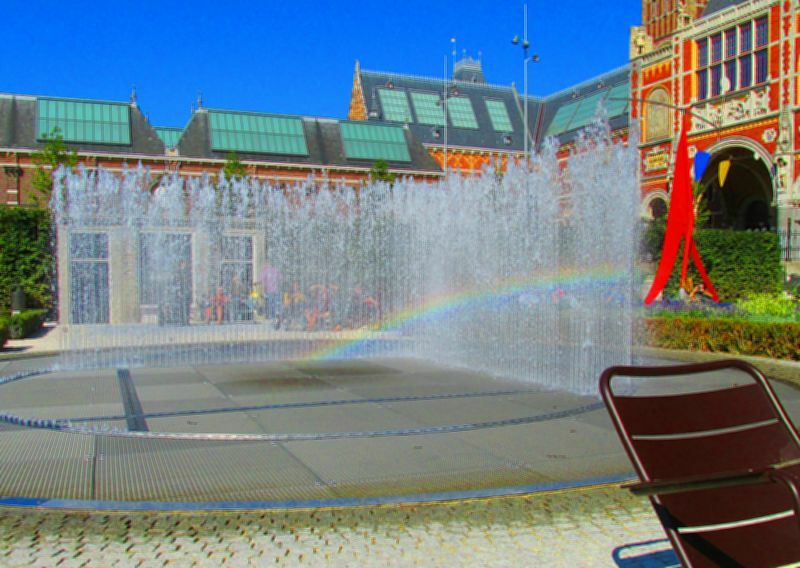 A rainbow plays with the dancing fountain in the garden behind the Rijksmuseum in Amsterdam, the Netherlands. If I had been solidly focused on getting to the Charles Bridge in Prague, a highlight of any trip to that magical city, I might not have been hit so hard by the divine smell of chocolate when someone opened the door of the Choco Cafe just as I passed by. I might not have realized I could take a break to rest my sore feet, step inside and order what turned out to be the most decadent, most sensory-fulfilling, most delicious cup of thick hot chocolate I’ve ever had. 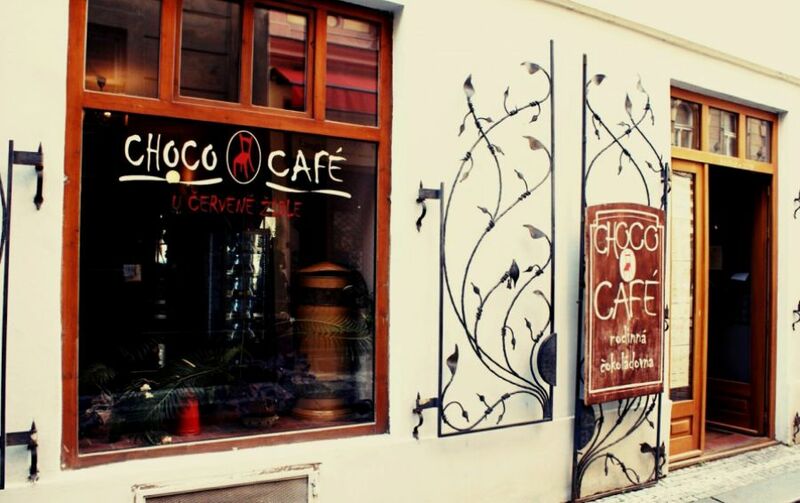 The facade of the Choco Cafe, at Liliová 250/4, near Old Town Square, Prague, Czech Republic. Photo courtesy of Choco Cafe. If I had not been paying close attention as I strolled the aisles of La Boqueria market in Barcelona, my nose might never have taken in the full variety of the different fish smells and my eyes may not have taught me that barracudas have wicked sharp teeth and are apparently a popular food fish in Catalunya. Or that the movements of the man slicing Jamon Iberico from a large hanging shank of that specially cured and especially delicious ham are a beautifully choreographed ballet. 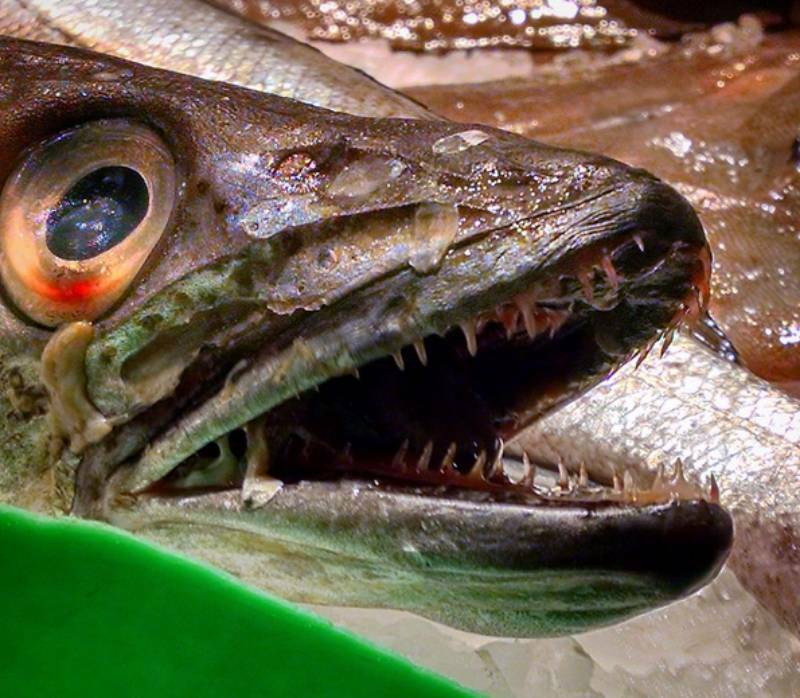 A barracuda with its wicked sharp teeth, resting on a of ice at La Boqueria Market in Barcelona…. not someone you’d want to meet out in a wine-dark sea, or even a sunny one. 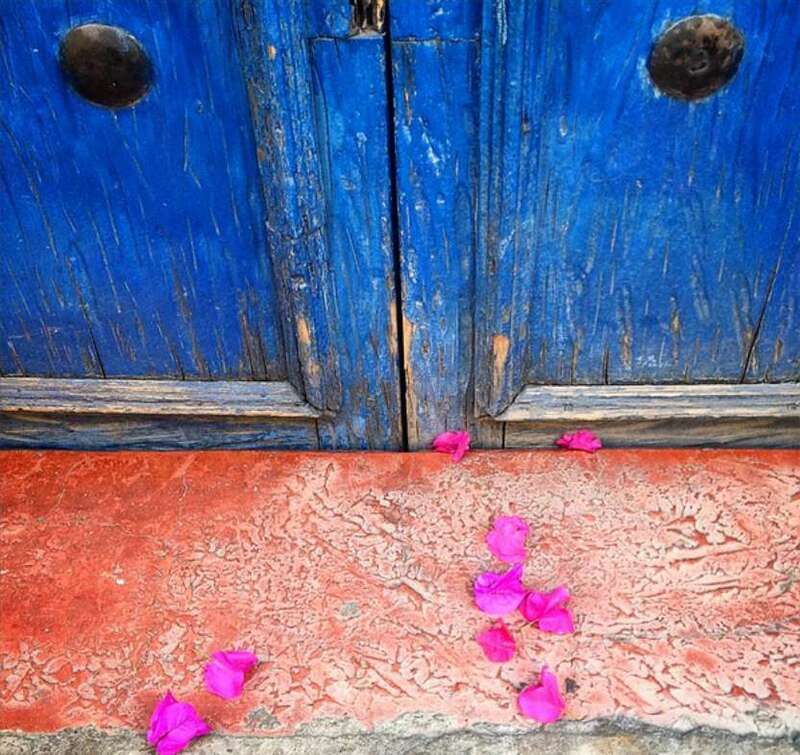 And I never would have caught, from the corner of my eye as I hurried home, the perfect abstract composition of a pair of blue doors, a rose-colored step and a handful of fallen bougainvillea petals in San Miguel de Allende, Mexico. < –Pin this image to Pinterest! You are SO right! Especially when we’re NOT traveling, we tend to stop noticing things. So true, Rachel. Here in San Miguel, I often have to make myself stop and look around. It is so easy to take all this beauty for granted after awhile. A lovely post. I totally agree with you – the small moments often make the biggest memories! And they made each trip unique to the traveller, especially if it’s a popular destination like the examples you gave. Agreed, Shannon. It’s so easy to get sucked up in the “must-sees” in the popular spots and miss the bigger picture by missing the details. Lovely at every level. And superb travel advice we should always heed. Thanks, Donna. Thanks Vicki. I KNOW you do this when you travel. I’ve seen your Morocco pictures!